This lovely array of charming flowers typifies an english country garden in full bloom, bringing a real sense of rustic charm. The delightful combination of pretty lisianthus and star shaped phlox makes for a bouquet that could almost have just been picked after a countryside ramble, and the delicate petals look delightful against the spray of green foliage. The subtle hues of the flowers embraces both dusky and pastel pinks, and includes a medley of detail and texture. 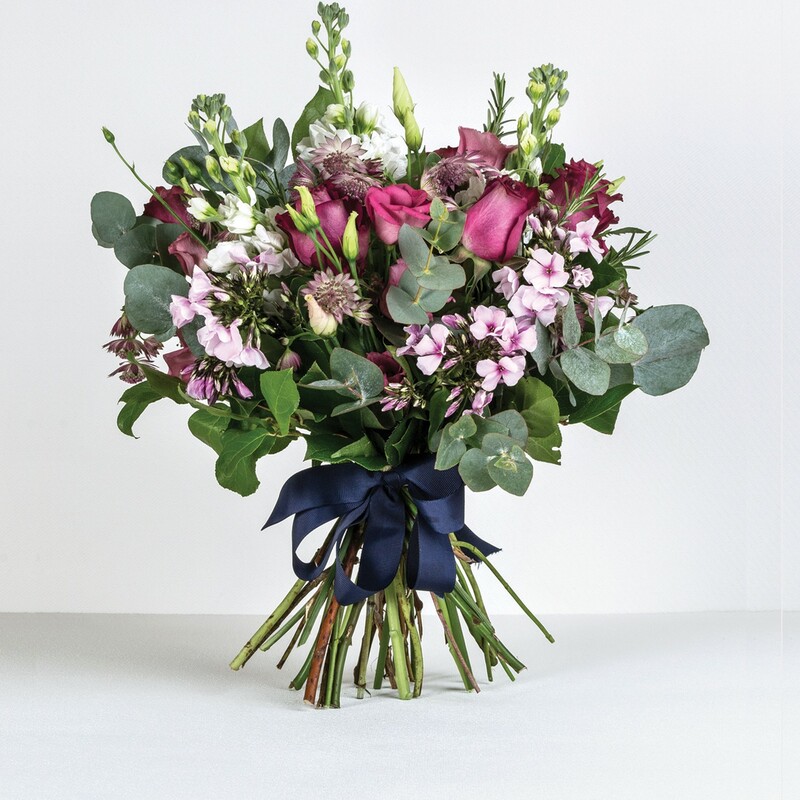 The Country Garden bouquet incorporates phlox, stocks, lisianthus and eucalyptus foliage, and makes for a delightful gift or cheerful adornment to any room.